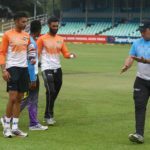 Durban Heat coach Grant Morgan talks about the upcoming Mzansi Super League match against Tshwane Spartans. Aiden Markram was run out for 19 in the second ODI against Australia at a point when South Africa were starting to dominate the Aussie attack. It was a costly wicket, and there were three reasons why this should never have happened, writes SIMON LEWIS. 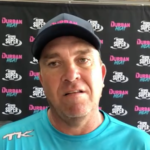 Grant Morgan believes his Durban Heat squad has ‘a lot of meat on the bone’ and hopes this will garner success in the inaugural Mzansi Super League season that gets under way next week. Dolphins coach Grant Morgan believes he can lead his side to success by the time his contract ends in 2019-20. Despite having plenty of experience, Dolphins coach Grant Morgan hasn’t been considered for higher honours. He shares his story. 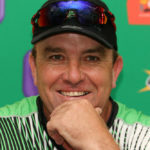 Dolphins coach Grant Morgan is expecting a level playing field ahead of their T20 Challenge opener against the Warriors in Durban on Sunday.